Gregg Allman var en av prisvinnerne under 10th Annual Americana Honors and Awards Show i Nashville i går. Allman var også blant artistene som opptrådde på Ryman Auditorium, der han bl.a. gjorde sin Allman Brothers-sang »Melissa«. Buddy Miller, som synes å ha et spesielt godt grep på juryen, vant to priser selv (Åres Artist, Årets Instrumentalist) ved siden av å være sterkt delaktig i at Robert Plant vant Årets Album for »Band of Joy«. Showet ble, for niende gang, ledet av Jim Lauderdale. Her er pressemeldingen som har gått ut fra Americana Music Association. Den komplette lista over årets vinnere ligger til slutt. Celebration of roots music includes performances by Gregg Allman, Lucinda Williams, Amos Lee, The Avett Brothers, The Civil Wars and more. NASHVILLE, October 13, 2011 – Robert Plant's Band of Joy picked up album of the year honors, and Buddy Miller earned an Artist of the Year nod, during the Americana Music Association's 10th Annual Honors and Awards tonight at Nashville's historic Ryman Auditorium. The event celebrated a year of the best in roots music. It opened with a moving tribute to the late John Hartford, represented by an unaccompanied banjo and bolo hat side stage, followed by Buddy Miller, Emmylou Harris, Alison Krauss, Jerry Douglas and Don Was performing »I'll Fly Away« in celebration of the 10th Anniversary of the O' Brother Where Art Thou? soundtrack. Jim Lauderdale served again as master of ceremonies, his ninth in-a-row, while Miller led an all-star house band comprised of famed record producer Don Was on bass, Cody and Luther Dickinson on drums, guitars and various other instruments, Greg Leisz on steel guitar and John Deaderick on keys. Adding harmonies were The McCrary Sisters: Ann, Regina and Alfreda. It was a big night for Miller, winning not only the Artist of the Year Award, but adding another Instrumentalist of the Year Award to his treasure chest of Americana trophies, now totaling twelve. Raul Malo and Carrie Rodriguez handed him the award. Keb Mo and Marshall Chapmann presented him with the Artist of the Year. The 2009 New/Emerging Artist Justin Townes Earle cemented his place as one of Americana Music's heirs apparent by picking up Song of the Year for »Harlem River Blues.« John Oates and Mindy Smith presented. The Avett Brothers walked away with another Duo/Group of the Year win, their third after winning in 2007 and 2010 and fourth overall, while Mumford and Sons were crowned New/Emerging Artist of the Year. Mark Olsen and Gary Louris of The Jayhawks presented the Duo/Group Award; The Greencards, winners in 2006, presented New/Emerging Artist. Joining Williams in the Lifetime Achievement categories, the legendary Gregg Allman received the Lifetime Achievement Award in Performance. 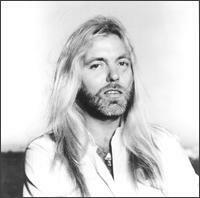 Allman is one of the architects of Southern Rock and member of the Allman Brothers Band. Keb Mo handled the presenting honors. Alison Krauss gave the Lifetime Achievement Award for Instrumentalist to Jerry Douglas, equally revered for his solo work, session playing, and as a longtime member of Krauss' Union Station. Bob Harris crossed the pond to accept his Trailblazer Award from Emmylou Harris. The celebrated radio host and journalist works as a tireless advocate for exceptional artistry, playing a pivotal role in exposing listeners to rising talent, no matter the genre. The annual Americana Award Show was peppered with standout performances, from Amos Lee (»Cup of Sorrow«), Elizabeth Cook (»El Camino«), Earle (»Harlem River Blues«), Jessica Lea Mayfield (»For Today«), Hayes Carll (»KMAG YOYO«), The Secret Sisters (»Why Don't You Love Me?«), Miller (»Gasoline and Matches«), The Civil Wars (»Barton Hollow«), The Avett Brothers (»The Once and Future Carpenter«) and Plant (»Monkey«). The evening ended as sentimentally as it began, with Allman performing »Sweet Melissa,« and then, joined by a majority of the night's guests, a rousing rendition of »Glory, Glory Hallelujah« to a standing audience. The event was broadcast live throughout Middle Tennessee on Nashville Public Television (NPT). An abridged version will be broadcast on PBS stations nationwide on November 19th (check local listings) as a special episode of Austin City Limits Presents.